by Carnival Lady & filed under Blog. Fall ushers in with numerous festivals. While Halloween, Columbus Day celebrations and the subsequent Thanksgiving festivities are integral fixtures of the calendar, there are innumerable other festivals held throughout the fall all across Kansas City. From music fests to food and drinks, celebrating arts and culture to different types of fairs, the city puts up a grand show every time it is expected to. This fall, you can plan your events and festivities easier and faster with the help of a great party rental company in Kansas. Creative Carnivals and Events make carnival and festival planning fun! I’ve always had a love for entertaining and an entrepreneurial spirit. When asked, I say that as the Carnival Lady I truly have the best job in KC. Who else gets to have conversations about Giant Hamster Balls, Mechanical Bulls, Moonwalks, Super Hero face painting and chocolate cotton candy all in one day? With approximately 20 employees and over 100 entertainers, my team performs over 1300 company picnics, school carnivals, church festivals, block parties and private events each year. 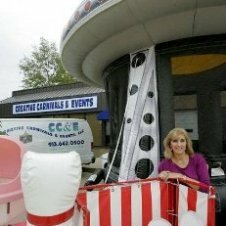 We perform inflatable rental and event planning all over the Kansas City area and Midwest. This couldn’t be accomplished without the help of my husband Kevin running the warehouse, a great team of drivers and fabulous office staff. Our most notable clients include the Royals, Chiefs, Cerner and Power & Light Family Fun Days, just to name a few. Consider the amount and versatility of food trucks in our area. Food truck vendors offer a huge variety of possibilities including ethnic foods, carnival treats, healthy items and, of course ice cream and deserts. And it seems like every day there are more types of food trucks available in our area. The nice thing is that no matter what you are looking for, amusements and food trucks work well together. When you plan an event you’re going to want to make sure that it’s something everyone will remember. 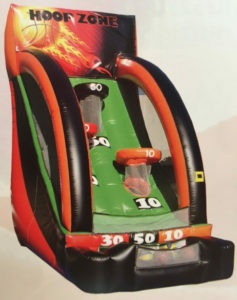 An inflatable game is a great addition to any type of party, whether it’s for a birthday or an anniversary. 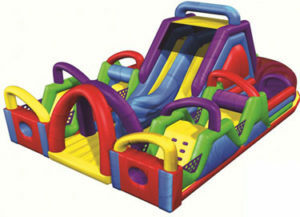 There are plenty of reasons as to why renting a bounce house is the right decision for your event. 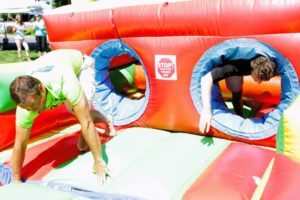 OR, you can choose an inflatable interactive game which is a phenomenal team-building tool for corporate functions. Are you tired of the same old boring summer events? Company picnics that no one wants to attend? How about block parties that are more work than enjoyment? So, what do you do? We all know inflatables can be fun but are they really safe these days? And aren’t most kids tired of the standard moonbounce? Surprisingly enough, the popularity of moonwalks in Kansas City is really high each year. This might be due to the fact that most Kansas City inflatable rental companies consider safety to be the most important type of their business. I’ve always had a love for entertaining and an entrepreneurial spirit. When asked, I say I truly have the best job in KC. Who else gets to have conversations about Giant Human Hamster Balls, Camel Rides, Super Hero face painting and Chocolate Cotton Candy all in one day? With approximately 20 employees, and over 100 entertainers, my team performs over 1300 events per year. My husband Kevin, a fabulous office staff and I are able to navigate over 300 inflatables, countless games and food service machines going to locations all over the Midwest. Our most notable clients include the Royals, Chiefs, Cerner and Power & Light Family Fun Days just to name a few. 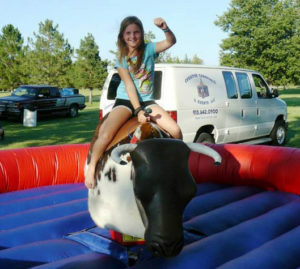 The other day we got a call from someone interested in renting a mechanical bull for an event. I took all of her information and quoted her a price and she laughed and told me she could get it for substantially less from another company. I started asking her questions about what she was getting and by the end of the conversation she understood that she probably wasn’t getting a very good deal at all. When you are renting from a mechanical bull riding company, there is a lot of information the company should be giving you. If they don’t offer it, then you need to ask. What Type of Inflatable Rentals are Best for a Kansas City Company Picnic? It’s that time of year for the annual company picnic and, of course, you’re trying to plan the best event possible. Instead of relying on the same generic sandwiches from the local deli, potato sack races, and horseshoes, it’s time to jump into the future and take advantage of inflatable rentals. With the help of these interesting and unique items in Kansas City, you’ll find that company picnic planning will be much easier than ever before. Of course inflatables have changed a lot over the past twenty years. You’ll be amazed at some of the items offered for your enjoyment. Photo Booth Rentals – Still a Hot Idea? When you’re planning a party you’ll want to make sure that you have all of the perfect rentals to make the night memorable. 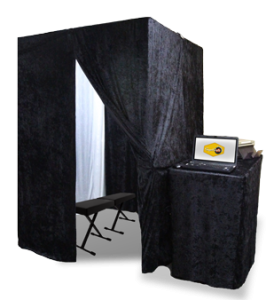 A photo booth is something that can really bring all of your guests together and give them something to bring home with them at the end of your event. If you’re wondering whether photo booths for parties are still popular or not, the answer is definitely “Yes”. Should I or Shouldn’t I Hire a Party Rental Company for My Next Kansas City Event? Well, we think the answer is simple. When you hire the best party rental company you’re on the road to creating the best event possible. Whether you’re hosting a wedding or a corporate luncheon, rentals are a great way to enhance an event, give your guests something interesting to do, and to help add to the theme of your party.